This organization is a professional association within the meaning of Section 501 (c)(6) of the Internal Revenue Code of 1954 (The “Code”) or the corresponding provision of any future United States Internal Revenue Law. promoting clinics and workshops in acrobatic gymnastics throughout Texas further within the purview of IRS Code Section 501(c)(6). No part of the corporation’s net earnings shall insure to the benefit of, or be distributable to, its members, directors, officers or any private persons, except that the corporation shall be authorized and empowered to pay reasonable compensation for services rendered by officers and directors of the corporation and members of committees of the corporation, and to make payments and distributions in furtherance of the purposes set forth in the Articles of Incorporation. 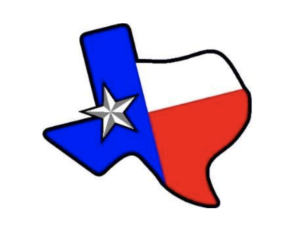 (a) To join Texas Acro a membership fee of $25 must be paid. 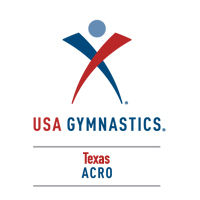 (b) Voting Member: Any adult with Pro Membership in the USAG Acro who is actively engaged in acrobatic gymnastics instruction or judging in the state of Texas may represent their club if their club is current in membership fee payment. with a limitation of one vote per club plus the votes of the board of directors. (c) Athlete Member: Any athlete who has a USAG Acro number, is involved in acrobatic gymnastics, and wishes to increase his knowledge and appreciation of the sport shall be eligible to become an athlete member. Athlete members shall have no voting rights in the corporation. (d) Associate Member: Any person of integrity working with or interested acrobatic gymnastics in the state of Texas shall be eligible to become an associate member of the corporation. Associate members shall have no voting rights in the corporation. The Board of Directors (“The Board”), which shall consist of three (3) members – the State Director, the Treasurer and the Secretary – who shall administer with staggered tenures, who shall serve overlapping 2-year terms, with one or more) being elected to the Board each annual meeting or by mail ballot. To be eligible for office, a member must be actively involved in acrobatic gymnastics within Texas for at least one year, a USAG Pro Member, and promise that they will be available for meetings during their complete term of office. The Board assumes the responsibility for the government of the corporation when the organization is not assembled. Annual meetings are not mandatory, although the board can call for a general business meeting when the need arises. (a). Directors shall serve for his or her term of office and until a successor is duly elected and qualifies. (b) If a vacancy occurs in an un-expired term of a Director, the Board itself may make a temporary appointment until such time the membership can vote to fill the un-expired term of the vacant directorship. 3.2 Annual Meeting: The annual meeting of the corporation shall be held each Fall before the Region 3 meeting to plan the next season‘s competition calendar, and to discuss whatever else that may be relevant at the time. 3.3 Special Meetings: Special meetings of the Board shall be held whenever called by the Board of Directors upon the direction of the State Director or upon the written request of any two directors, and the board shall give sufficient notice of such meetings personally, by mail, or by electronic media to enable the directors so notified to attend such meetings. 3.4 Quorum for Meetings: Two out of three board members must be present to create a quorum along with a simple majority of clubs represented. 4.1 SELECTION OF BOARD OF DIRECTORS: One member of the three-member Board of Directors is to be elected each year. Nomination for new board members requires (2) candidates for each open seat on the Board for that year and shall designate each seat by the year term expires. Hand ballots initially shall be prepared and election shall be held during the Annual Business meeting. The Secretary shall record the tally for the election and the State Director shall certify the results to the general membership. A director shall be elected when they receive the majority of votes. 4.2 ATTENDANCE AT MEETINGS: The State Director shall call meetings of the Board and of the general membership and shall act as chairman of such meetings. In the absence of the State Director, the Treasurer shall serve as the Acting Chairman and shall conduct the meeting instead. The Secretary of the corporation shall keep the minutes for all meetings, but in the absence of the Secretary, the State Director may appoint any person present to keep the minutes. 4.3 SELECTION AND DUTIES OF OPERATING OFFICERS: The operating officers of the corporation shall be a State Director, Treasurer, and Secretary. All offices will be elected by the Voting Members . The State Director shall serve a three-years term and the Treasurer and Secretary shall serve two-year terms. 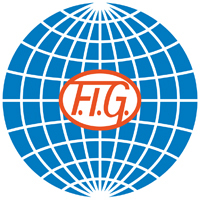 submitting a written report of the activities and business affairs of the corporation at a general meeting of the members, or by mail, or by electronic media, when called upon to do so by the Board or the members, and performing such other duties as the Board may assign from time to time. shall keep account of all moneys, credits and property of the corporation that shall come into his or her hands and shall keep an accurate account of all moneys received and discharged. shall have the custody of all the funds and securities of the corporation (except as otherwise ordered by the Board) and shall deposit them in such banks or depositories as the Board shall designate subject to generally accepted accounting standards. and shall make such transfers and alterations in the securities of the corporation as the Board may order. and shall also, under the direction of the Board, disburse all moneys and sign all checks and other instruments drawn on or payable out of the funds of the corporation; however, the Board shall require these checks and other instruments in excess of $500 to be cosigned by the Chairman of the Board or, in case of their absence or disability, by such member of the Board as the Board shall designate. In case of the absence or disability of the Treasurer, the Board may appoint an assistant Treasurer to perform the duties of the Treasurer during such absence or disability. shall keep the minutes of all meetings, and make copies of these minutes for all members. shall have charge of the records and correspondence of the corporation. shall give notice of and attend all meetings of the Board and membership meetings and discharge duties as the Chairman or the Board may assign. shall keep on file a correct list of the names and addresses of the members of the corporation and shall distribute a copy of the list to each member once a year.In case of the Secretary’s absence or disability, the Board may appoint an assistant secretary to perform the duties of the Secretary during such absence or disability.The Secretary shall be responsible for receiving and forwarding to the Board the nominations each year for the Awards determined by members, and which the Board shall award annually. the Secretary will also keep the Webmaster informed with current information for the Texas Acro Website so that the acrobatic community can be kept abreast of all relevant information in a timely manner. 4.4 VACANCIES: Whenever a vacancy shall occur in any operating office of the corporation, such vacancy shall be filled upon recommendation of the remaining officers and the approval of the voting members. The new officer shall hold office until the next annual gathering and until a successor is selected and qualifies subject to Section 4.3. These Bylaws may be amended by the members by the affirmative vote of a majority of the members at any annual meeting or by means of ballots published in the website. Any member’s conduct or acts, including any officer or director deemed to fall within the purview of the above acts or conduct as voted on by majority of the Board of Directors, shall be asked to resign voluntarily within ten (10) days of receipt of written notice. If said individual does not comply, then based on the recommendation of a majority of directors, this individual shall be recorded in the organization’s permanent records as terminated and shall be banned from further participation. Reinstatement shall require a majority vote of the Board of Directors. 6.2 Compliance: Nothing in this agreement shall be construed as a violation of IRS Code Section 501 (c)(6) or in violation of any state or federal law. If however, a possible or potential violation of the above is determined by the proper authorities said alleged violation shall not void this whole agreement and the Board of Directors shall have immediate authority to correct said problem(s); thereby, reaffirming the true not-for-profit status of this organization.